Still no clue as to what Microsoft intends to do about it, mind you. After the Sony Twitter campaign launched in an attempt to dissuade Sony from even thinking about DRM and anti used games policies, much vitriol was spewed over at Larry Hyrb aka Major Nelson's blog, on Microsoft's policies and its Xbox One reveal. In response, Major Nelson said in a forum post that "we're fully aware of what is going on. I am also working on a few things to address it. I can't say much more right now. But we ARE listening." Listening, but not doing much; at least not visibly. Major Nelson's statement came up in the comments on a blog post about used games, in which he claimed that previous reports on Microsoft policies are "inaccurate and incomplete" before promising to "disclose more information in the near future." This perpetuates what is rapidly becoming a Microsoft tradition, of saying nothing useful while seeming to address the issue. Here's hoping E3 will see some clarification on something - anything - concerning the Xbone's used games and DRM policies. 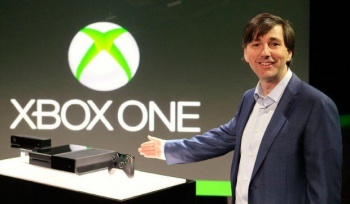 Or the always-on Kinect. Or ... but you get the idea.